Please take a minute to watch/share the stunning New Trailer. Advance reviews thus far have been incredible. Zoro says: ". . . a brilliant, fascinating and inspiring film . . . a truly monumental achievement." "The Century Project" takes you on a thrilling journey through 100 years of music history, tracing the story of the drum set from its inception at the end of the Civil War (1865) to the dawn of the British Invasion (1965). Throughout the presentation, Daniel introduces and demonstrates a variety of classic styles and techniques, including double drumming, ragtime, New Orleans jazz, Chicago jazz, classic swing, bebop, rhythm and blues, rockabilly and early rock'n'roll. To bring these musical eras to life, The Century Project incorporates eleven stunning vintage drum sets, hundreds of rare product and vintage catalog shots, and a dozen high energy performances from an all-star band featuring members of Royal Crown Revue, the Brian Setzer Orchestra, the Conan O'Brien house band, and Bette Midler's "Kiss My Brass" Revue. 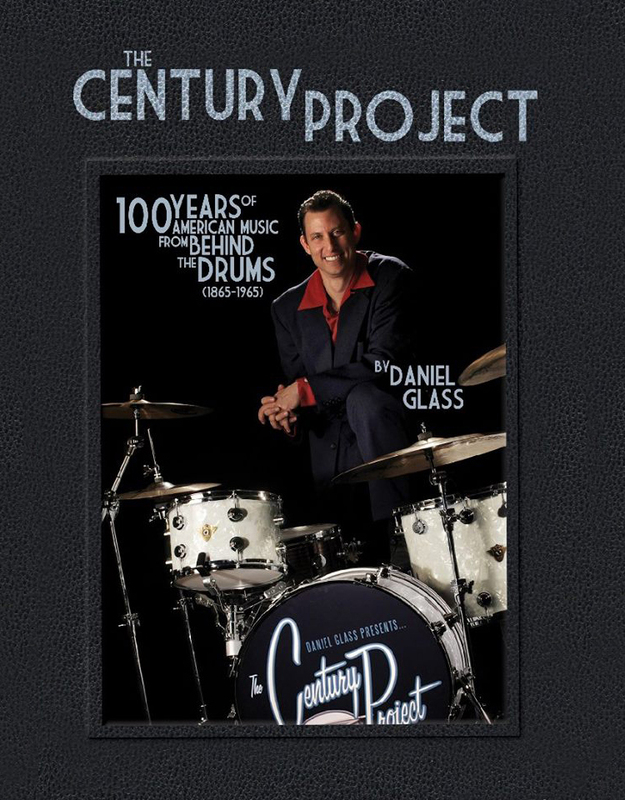 Filmed and recorded in stunning high-definition, The Century Project reveals a side of the drums never before seen, and endeavors to show musicians here in the 21st Century just how much they actually have in common with the past. The bottom line - learning more about the classic styles demonstrated in The Century Project will make you a stronger and more competitive drummer, regardless of what style of music you play. <--- Click cover to order. 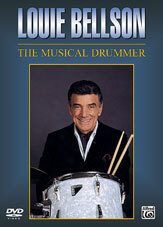 After more than 15 years of success as a VHS, "A Lesson with Louie Bellson" is now a DVD. (click) In 1992, Louie Bellson proposed the idea of documenting the approach of his renowned teacher, Murray Spivack, in the form of filming a lesson with Louie as the student. Other “students” featured: David Garibaldi and Peter Donald. DVD covers range of various rudiments with emphasis on grip, stroke, and motion. (60 min) After 25 years of success as a book/CD/VHS, "The Musical Drummer" is now available as a DVD. 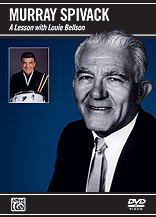 The Musical Drummer features Louie Bellson at his best—leading an all-star quintet through seven compositions that illustrate a variety of styles and techniques. Clearly and simply, he isolates and analyzes his part in tunes that demonstrate swing, samba, shuffle, bossa nova and jazz/rock beats. Bellson also covers brush and double-bass drum technique. Highlights include two classic solos in the Bellson tradition. Featuring plenty of performance, this DVD is entertaining, as well as instructional. Available on Amazon; Barnes & Noble. Is a 5-DVD set a bit much for you? "The Gang's All Here" is also available as a single DVD. 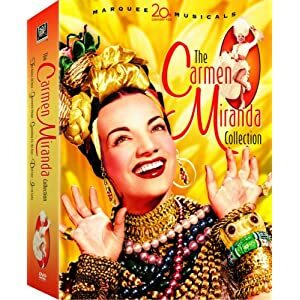 Benny Goodman, Louie Bellson and Carmen Miranda perform in "The Gang's All Here." 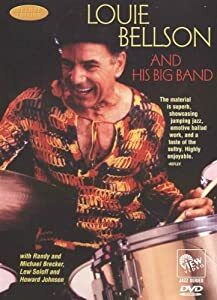 This extraordinary, classic two-hour musical biography includes contributions by Louie Bellson et. al. An ideal tool for jazz research as well as the study of African-American culture, it captures the culturally transcendent genius and charisma of the man and his music, rooted in the Black experience. Produced/directed by actor Terry Carter ("Battlestar Galactica", "McCloud"). 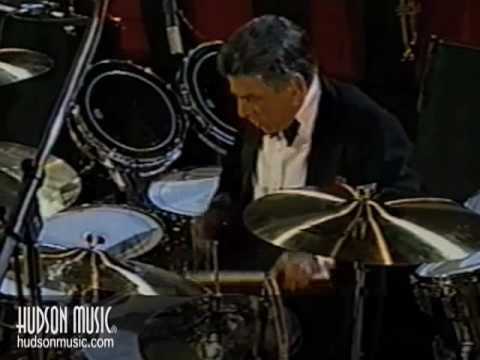 Louie Bellson, who revitalized the Duke Ellington Orchestra back in the '50s, leads his own group in this 1983 Swiss concert featuring the Breckers as well as expatriates Herb Geller and Benny Bailey. DownBeat magazine called it "crackling, straight-down-the-pike Big Band music". Includes over 60 minutes of DVD bonus features: video of Billy Cobham and Louie Bellson; music from Randy and Michael Brecker; trivia and fun facts subtitles; instant access to over 35 selections and 24 instrumental solos; six artist biographies; photo gallery; Dolby Digital Stereo audio; digitally mastered audio & video; multi-directional interactive menus. Total running time: 115 minutes. This popular VHS was converted to DVD in 2007. Review: "...has to be seen to be believed...Cobham is a powerhouse...Bellson brought me to the edge of my seat!" --JazzTimes Magazine. 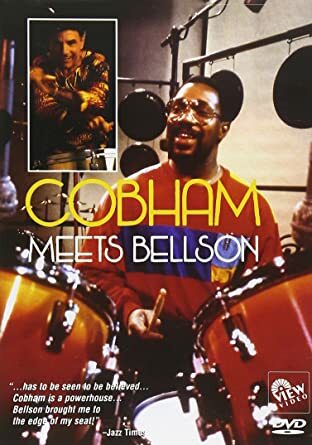 Watch all-star Jazz drummers Billy Cobham and Louie Bellson have an intimate conversation using only their drumsticks in this concert DVD recorded live from Switzerland. The Louie Bellson Big Band plays swinging melodic riffs while the two percussion legends take center stage, facing off in virtuosity, using every tone from whispering to fortissimo. This explosive DVD Drum Battle is a continuous flow of energy and rhythmic bravado that showcases two of the world s greatest drummers, and their inimitable sound that is sure to provoke hypnotic, contagious movements and keep your feet tapping all night long. 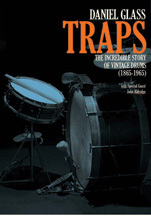 Part One (1920-1950) traces the history of jazz drumming in America from its earliest, pre-1920 roots to the advent of the be-bop revolution in the mid-1940s and beyond. 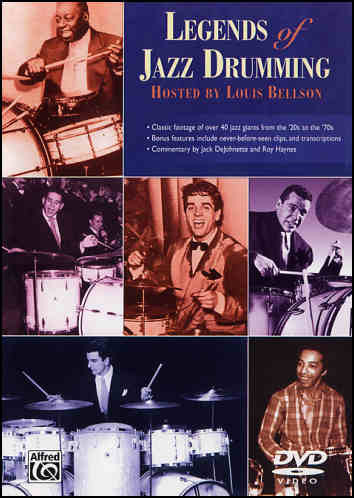 It features archival film clips and photographs of the greats of jazz drumming, including Baby Dodds, Paul Barbarin, Chick Webb, Gene Krupa, Buddy Rich, Dave Tough, Sid Catlett, Kenny Clarke, and Max Roach. Highlights include films of the legendary Sid Catlett with Louis Armstrong, Ray Bauduc with Jack Teagarden, Gene Krupa and Buddy Rich with their own orchestras, Gus Johnson with the rarely-heard Count Basie small group, Joe Harris with the pioneering Dizzy Gillespie Orchestra, Panama Francis with Cab Calloway, Lionel Hampton, never-before-seen solo footage of Philly Joe Jones, Stan Levey with a small group, the groundbreaking bop of Kenny Clarke and many others. The second installment in this exciting and acclaimed series. Volume Two features fifteen thunderous drum solos from legends like Buddy Rich, Lionel Hampton, Gene Krupa, “Papa” Jo Jones, Art Blakey, Shelly Manne, Sonny Payne, Sam Woodyard, Rufus “Speedy” Jones, Louie Bellson and others. • and a short bio of each drummer.